The cosmetics industry is booming as we’ve seen sales soar over the past few years, it’s obvious that this global love for make-up is showing no signs of slowing down. With the likes of Dubai based blogging sensation Huda Kattan, thousands of bloggers are taking a leaf out of her book; with the hopes of becoming the powerful business woman she is. 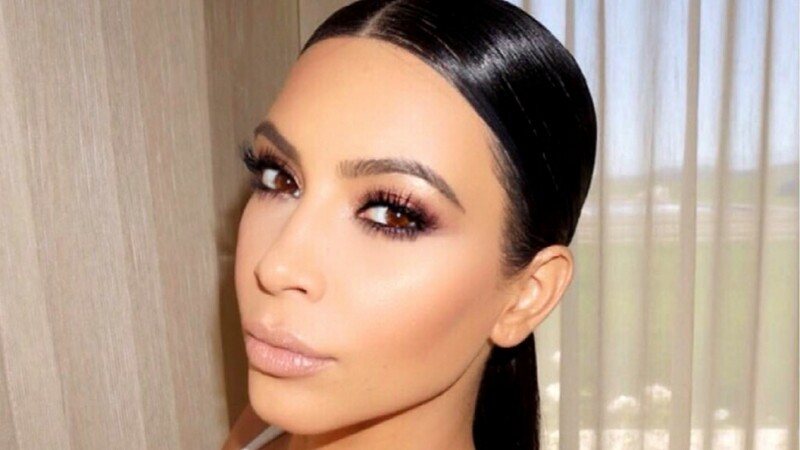 Another famous face driving beauty sales and interest is Kim Kardashian, whose avid followers swear by using the same products as her. With trends from sculpting, contouring, highlighting and strobing suddenly making an appearance – some people are even taking it to the extreme by using utensils to create the perfect cheekbones. Crazy, I know. Don’t get me wrong. I love that this growing trend is allowing so many make-up artists to showcase their talents in the digital sphere, but I’m getting bored of logging onto Instagram to be faced with heavily painted faces made up of contour and lashes being labelled as an “everyday look”. If heavy make-up is your thing then that’s great, but I can’t help but feel our “natural” beauty standards are being swallowed up in layers of liquid foundation. What’s wrong with showing a few freckles? And those overdrawn lips? Yes we can see them. With Summer around the corner, now is the perfect time to go back to basics. So, for those of you who want to reclaim your face and enhance your features, here are a few must-have products for a simple, glowing and natural look! If brow powders aren’t your thing and you’re not confident with drawing on your brows, it doesn’t mean you can’t keep them tame. Using a brow gel keeps them in place all day long – Try Brow Set by MAC cosmetic for instant shaping and a natural style. A refreshing break from heavy foundation, a tinted moisturiser allows you to keep hydrated while giving your skin that glow it might need after a sleepless night. Perfect for everyday use, the Bare Minerals Complexion Rescue Tinted Gel Cream provides the perfect blend of BB, CC and tinted moisturiser. A little dab of blush adds some instant colour and rosy shine. The best thing about a cream blush is that is looks beautiful against the skin and works well with moisturiser to keep that glow. However, they do take a little practise – so make sure you play around with them to avoid leaving the house with patches of pink. Go for Dior’s Diorblush Cheek Creme Summer Mix for a subtle yet radiant finish. If you don’t want a load of gunk on your eyes, invest in a good eyelash curler. Leaving no residue, eyelash curlers allow you to enhance your natural lashes. Try Charlotte Tilbury Life Changing Lashes – simply slot into the root of the lash and clamp down for a few seconds. Lips are tricky, especially choosing the shade to suit you. Although limited on shades, this part lipgloss, part lipstick and luscious moisturiser by Clinique brings out your natural colour while leaving your lips pout perfect.